Hall of Famer and number 22 ranked player in the world Ben Stark is one of the most accomplished players in the game. But when it comes to drafts, it's possible he's done more than anyone else in the world. Stark prides himself on being one of the limited powerhouses in Magic, and I caught up with him to see what he drafted in his first draft in Core Set 2019. I was excited when Stark pulled me aside, and said he had a sweet deck to show off to me after the draft. The highlights were a Djinn of Wishes, a Patient Rebuilding and Psychic Corrosion. A deck that didn't look to beat its opponent's via damage, but instead by running them out of cards in their library. I asked Stark, "How does one end up drafting this deck?" "I ended up taking Essence Scatter first pick, and followed it up with Transmogrification Wand which is at its best in a controlling blue deck. Pick six I took Psychic Corrosion as a sideboard option to fight the control decks. But in pack two I got passed Patient Rebuilding, and my deck didn't have any aggressive fliers, at this point I transitioned my strategy to being a mill deck." For Stark, it wasn't just a matter that halfway through his draft he had Psychic Corrosion and Patient Rebuilding, but a factor of all of his cards. His deck had defensive blue creatures, and cards like Skyscanner, which are solid cards, but don't lend themselves to playing aggressive games of Magic. Knowing that he would be playing longer games, he determined he was a better strategy to lean into what all of his cards were doing and plan to run his opponent's out of cards. How Do You Adapt to Drafting Mill? Drafting a mill or a control deck is like building a constructed deck. You don't just want to play the best cards because their role in your deck and their importance can change. Stark pointed out that he didn't want 2/2s and 2/1s in his mill deck. He instead wanted to focus on drafting defensive cards, and cards that would allow him to draw into his cards that milled the opponent more reliably. 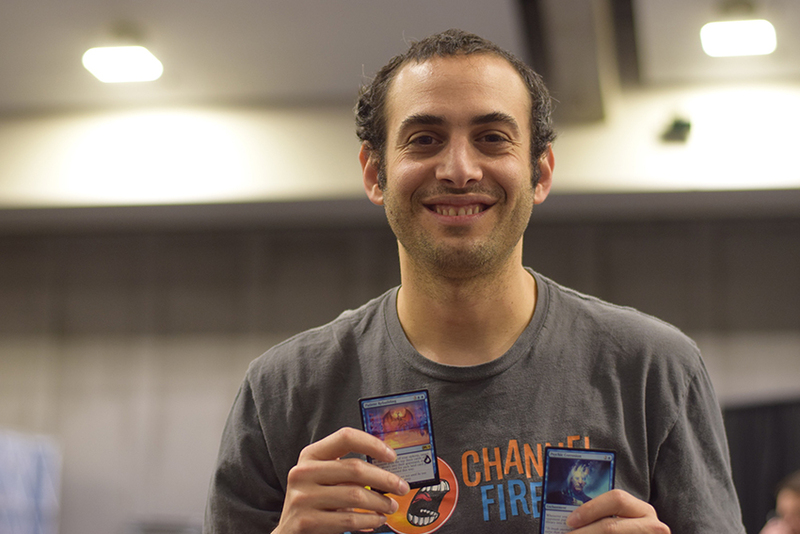 "Once I knew I was drafting mill, I focused on cards like Omenspeaker, Aviation Pioneer, and Skyscanner. Omenspeaker keeps you alive in the early game, and the scry two allowed me to find one of the few cards in my deck I can trust to win me a match. Aviation Pioneer goes up in value because I need cards that protect me from the go wide strategies. Additionally, Skyscanner gets a bit better because it combines with the Psychic Corrosion to mill the opponent out faster, and is a body that can block and gain you a little bit of life." "Lots of the blue commons tend to work on defense. If I were to draft this strategy, I'd really want three Psychic Corrosions or a Patient Rebuilding. The mill deck is more of a niche archetype rather than something I always look to draft." "I think White-Red go-wide aggro decks are the best in the format, they're difficult to interact with, and they go under a lot of the defensive options in the format. I think the Black-Red sacrifice decks are the most fun decks in the format to play. Act of Treason is the real stand out there with the powerful options to then sacrifice the stolen creature." Stark is currently 2-0 in his first draft of the day, bringing his total record to 9-2 for the weekend. He'll need to close out this draft and perform well in his second draft to find himself in the top 8, but with his drafting prowess I wouldn't put it past him. Ben Stark – Draft 1 Grand Prix Sacramento Mono Blue Mill.